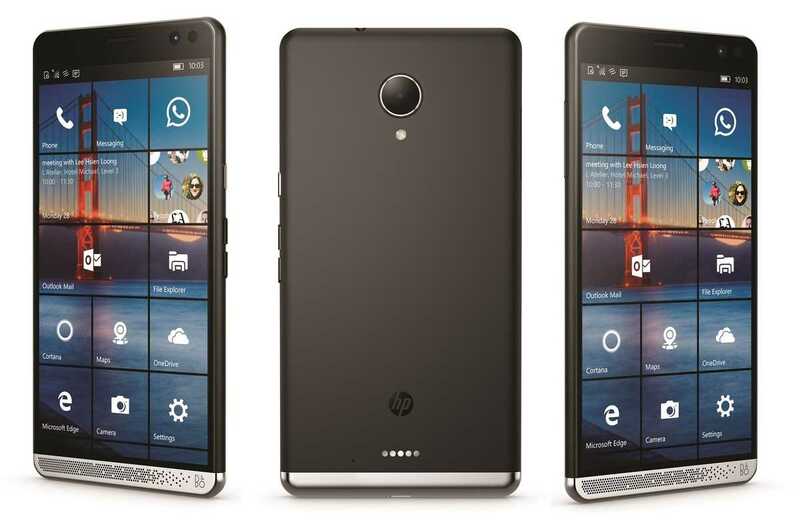 HP announced its upcoming Elite X3 Windows based smartphone at the MWC 2016 Conference in February held in Barcelona, Spain. The smartphone comes with a high price tag and is expected to be launched anytime soon as the scheduled launch time is the third quarter of the year that is most likely to be September. However, the handset is available right now for pre-orders exclusively on CDW. The device is expected to perform the three major functions of PC productivity and power, smartphone and tablet portability. In other words, the HP Elite X3 aims at executing the combined roles of a PC, tablet and smartphone. For an exorbitant price tag, the manufacturer’s X3 smartphone does have some high end configuration under its sleeve and makes it most suitable for business use. While HP has taken great effortto make the handset as thin as possible, the Elite X3 is definitely one of those lightweight devices although the figures do not make it feel so. The device features a size of 161.8 x 83.5 x 7.8 mm and weighs quite close to 195g. Surprisingly, although the gadget is far from being economical, it still houses a hard plastic back panel with a silvery polished and smooth metallic band at the bottom. This metallic bad extends to the front of the smartphone as well and gives the smartphone an overall classy look along with its rounded edges. The key plus point, however, is just that the handset is IP 67 certified. This ensures that the HP Elite X3 is both dust and water resistant to a certain extent. The Elite X3 has a really big size of 5.96 inches that makes it more of a phablet than a smartphone that helps in better viewing of content and other activities like gaming or browsing. Added to this, the Super AMOLED display accounts for better sunlight visibility and vibrant colors, while the sharp Quad HD screen results in better clarity and sharpness of the display on the screen. HP has also done justice to the pixel resolution and density with values of 1440 x 2560 and 493ppi respectively. With Corning Gorilla Glass 3 protection, the manufacturer has ensured protection for the glass of its capacitive touchscreen from scratches due to accidental drops. The primary rear 16MP camera with LED flash on the rear of the HP Elite X3 results in the shooter protruding a little from the back panel. The metallic ring looping around the shooter not only gives it a statement of style but also provides a shieldagainst scratches and bumps. This snapper can record 1920 x 1080 (1080p HD) videos at 30 fps. On the front, the 8MP secondary camera does equal justice for web chats and selfie shots. Although Windows smartphones have generally not met with very good reception as their Android and iOS counterparts, the Elite X3 flaunts interesting specs for the high price it carries. The handset comes integrated with 4GB RAM and 64GB ROM for internal storage. And if you think that this storage is not enough, the dual SIM device has a dedicated memory card slot for you to make use one of these cards to increase the limit by a terrific 2TB.The gadget also embraces a Qualcomm Snapdragon 820 chipset, a quad core 64-bit Kyro processor clocking at 2.15GHz and a powerful Adreno 530 graphics processor. Loaded with Windows 10, you can make use of some interesting functionalities like Continuum and other features that are unique to this version of the operating system. What is definitely worth noting is that with an additional and optional docking accessory, you can hook up your smartphone to a screen, keyboard or mouse to give you a true Windows based PC experience. The manufacturer offers a gamut of connectivity choices like an external microphone with a 3.5mm headphone jack, a USB 3.0 Type C connection port, Bluetooth 4.1 with A2DP, GPS with A-GPS and GLONASS, NFC and Wi-Fi (802.11 a/b/g/n, hotspot and dual band). Like connectivity, there are multiple sensor options in the HP Elite X3. These include fingerprint and iris scanners, compass, gyroscope, proximity sensor and barometer. Taking the large screen size into consideration as one of the key parameters for choosing a battery, the Elite X3 is provided with a huge 4,150 mAh removable li-ion battery.